Crawford Technologies will introduce and demonstrate five new solutions at the 'Xploration 16 Customer Communications Conference’ in Orlando from April 5-7, 2016 at the Caribe Royale Orlando in Florida. Xplor International is the world’s premier educational and informational event for professionals in the electronic document industry. PRO Inkjet Express: A modular and scalable software solution that gives organizations powerful tools to quickly migrate transactional print workloads to high-speed color inkjet presses. This allows organizations to implement an automated end-to-end production workflow and fully leverage the capabilities of their inkjet presses efficiently and cost effectively. “We are proud to support Xplor International in their mission to provide the industry’s premier educational event,” said Ernie Crawford, President of Crawford Technologies. So I Bought a Print Stream Compare Utility – Now What? As a Platinum sponsor, CrawfordTech will be co-sponsoring the Xploration 16 Happy Hour and transportation to Universal’s CityWalk on Wednesday, April 6, 2016. For more information about the ‘Xploration 16 Customer Communications Conference’, please click here. Xplor International is a worldwide, not-for-profit professional association that consists of thousands of users and suppliers of the products and services that create, modify and deliver customized information using a wide variety of document technologies. The association provides educational products and programs for its members and the industry at large through conferences, meetings and annual events. Xplor International has its worldwide headquarters in Lutz, Florida, with affiliated offices around the world. Crawford Technologies is an award-winning, worldwide leader in print-stream conversions, document re-engineering, high-volume document workflow, document accessibility and archiving software solutions. 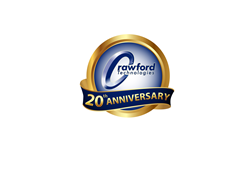 For 20 years, Crawford Technologies has expanded its solution offerings in Customer Communications Management (CCM), Enterprise Output Management (EOM), Enterprise Content Management (ECM) and Document Accessibility markets. CrawfordTech is dedicated to helping organizations improve their customer communications delivery systems so people can receive their documents in their format and channel of preference.